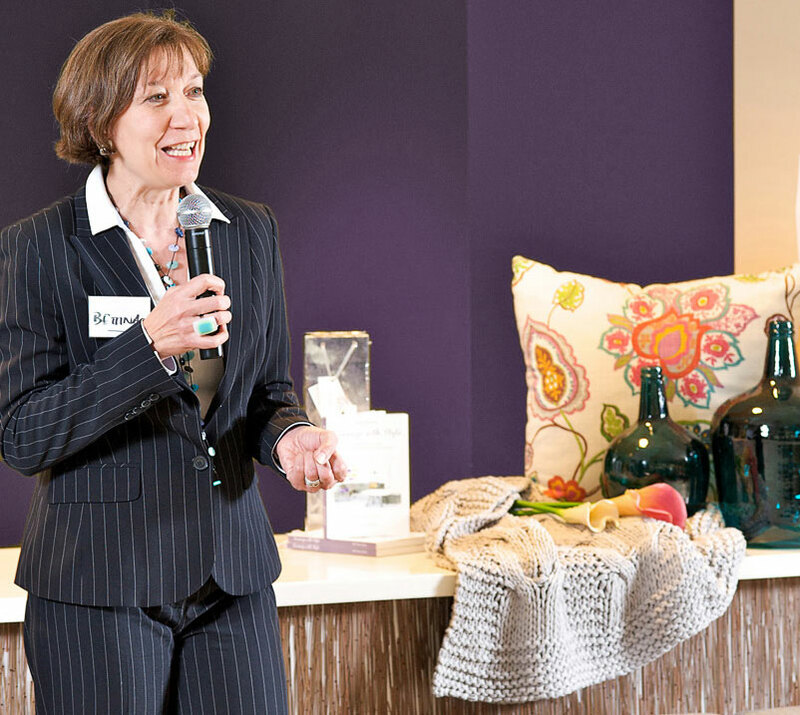 Looking for a Speaker for Your Next Downsizing or Property Event? Bettina has spoken to many people at author talks, apartment living workshops, and property events since self-publishing her book Downsize with Style. She can customise presentations or workshops for your event and audience. This modular presentation can be adapted to your requirements and covers the essential steps to achieve a stylish and functional home in a more compact space. This modular presentation can be adapted to your requirements and covers the key actions for homeowners to prepare their property for sale to create most impact and maximise their ROI. "Bettina speaks with passion and knows her subject matter. Her remarkable feat of having written and published her book in just six months is a testament to her drive and dedication. Bettina is generous in sharing her knowledge." “What a clear, concise, informative and entertaining account you gave us of your journey into producing your book and self-publishing. You made it sound so easy and, best of all, it was inspiring, amusing and light of spirit. The details of your journey from Germany to Australia was colourful, and what followed I am sure will help others to feel they can do the same. "As a member of the Colour Society of NSW, I have had the pleasure of listening to Bettina present to that group. Bettina's presentation was interesting and engaging. She speaks on personal experiences, which negates the need for notes or pauses. I would thoroughly recommend her to anyone who requires an "easy to listen to" speaker for their gatherings." If you would like to book Bettina as a speaker for your event or workshop, please email to bettina@bettinadeda.com to discuss your requirements.